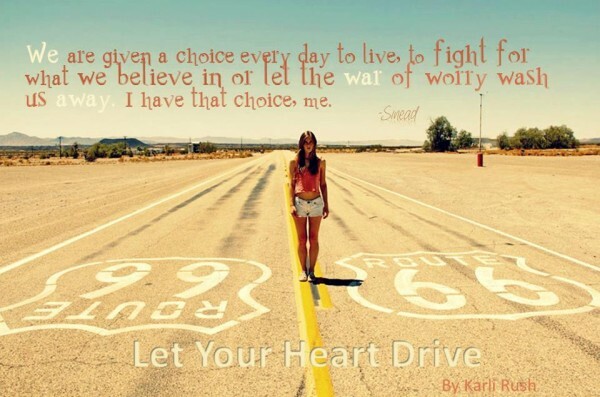 Let Your Heart Drive was written by Karli Rush. I was given a copy in exchange for my honest book review. All opinions are my own. I live in the shelter of darkness. This darkness holds a secret over me… one that I have come to protect and in return it controls and holds me back. It’s time to start fighting against it and break free. To become the unrestricted woman I yearn to be. For this to happen it will take a sixteen hundred mile road trip to let go of all that I fear and hopefully discover that the darkness doesn't lurk everywhere. I stand on the edge overlooking a horizon of possibilities for the first time. 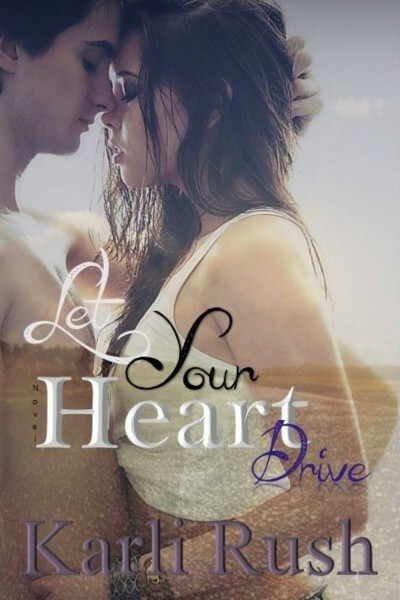 Will I let my heart drive… to where it needs to be? A unique romantic tale of one girl, one road, and a chance meeting with someone that will change everything in every way. Disclaimer - This book is intended for mature audiences only. Such a true serendipity romance. Sinead and Trey happening upon each other was just pure perfection to me. I always had a little dream of randomly finding "the one" in the guy that delivered my pizza one day, or the guy that came to fix my washing machine, or that guy in class with the only empty seat right next to him. You know, the guy. I also always thought one day I would drive across the country. See all there was to see along Route 66. Check out all of the little kitschy roadside attraction. Americana. It could still happen one day. Reading Sinead's story had me fantasizing about it. Me and a friend (I never imagined doing it alone) road-tripping without a schedule. No real destination in mind. It sounds like a real life adventure to me. I loved not knowing exactly WHY Sinead was driving Route 66. I loved finding out about her along her journey. I love when you find out her "secret"... the answer is unexpected while still expected. I refuse to ruin it. The little bit of mystery adds a nice bit of suspense to a sweet story. Karli Rush was born in the heart of Cherokee Nation and lives in its capital. Her Native American heritage holds sway over her writing in many ways. She has the patience of a brain surgeon operating under fire in a war zone. You can chalk that up to her being the mother of an autistic kiddo. With the passion of a starving artist, she writes. The obsession to tell her tales have led her to write novels in the worlds of Dark Paranormal, Romance, Dystopian, and Vampires. She walks in two worlds, one grounds her and the other frees her imagination.